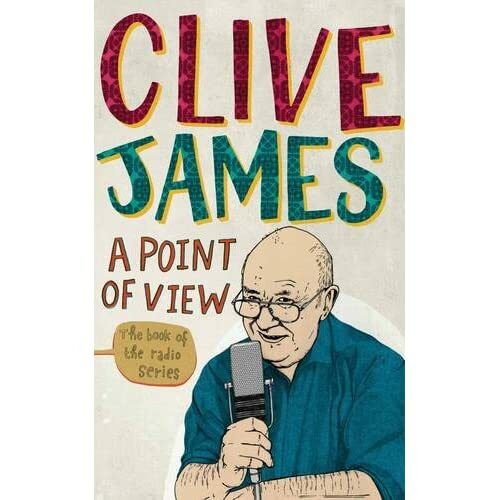 Picador has acquired the rights to a new title by broadcaster Clive James. Senior editor Sam Humphreys bought UK and Commonweath rights to Point of View from Robert Kirby at United Agents. The title will be made up of pieces originally aired on the BBC Radio 4 programme and will also include new introductions to each piece from James. It will be published in autumn 2011. Humphreys said: "It's a fascinating glimpse into the key concerns, issues, obsessions and trivia that have kept us occupied in the first decade of the new millennium." Now available from amazon.co.uk and booksellers elsewhere. I'd hope that this appreciation of actor James Gardner being published in the December issue of The Atlantic is of the outcomes of his more recent labours. The piece, which is ostensibly a review of The Garner Files: A Memoir by Garner himself and and Jon Winokur (Simon & Schuster), allows him to repeat, at greater length and with the benifit of longer hindsight, things he has been saying about Garner's qualities as a screen actor from the beginning of his own career as a published critic. The fact that he gives the reader a neat summary of how he views Garner as an actor early on does not mean that the remainder of the essay can be skipped over. It should be read as a whole because it is so full insights about Garner himself, the world he moved in and abourhis contemporaries. He observes along the way that in Hollywood "preferred way of writing is to bolt together clichés that have already been tested to near-destruction" and that "one of the secrets of maintaining a long and fruitful career is not to mourn too much for the might-have-beens." ...there’s nothing wrong about praising Brando as long as you admit that the capacity for industrial sabotage that he brought to so many of his film sets was another form of robbery: somewhere, somebody was paying for every extra hour that Brando’s behavior cost. Still on the subject of Brando, a judgment like “best movie actor we’ve ever had” would mean more if Garner had taken room to say that Alan Arkin was a much better movie actor but didn’t look it. Well, it's a concession of sorts. You do not have to agree whth this or anything else he says in this essay; his real value - and the real value of piece - lies in the fact that much of what he does say is thought-provoking and pleasurably challenging to the reader. Well, my copy of A Point Of View arrived today from Amazon, and what a delight it is. I think I've heard all of those pieces at least once each, and read most of them too, but even if I weren't delighted to read them again, each of them is hugely enhanced by a postscript - that device which Clive has used before in his essay collections and which is, if anything, even more effective here, given the topical prompting for most of these talks. The fact that they were written for speech/ear rather than the eye/brain means they have a directness and immediacy which, if I may make so bold, links them more closely to the songs in some ways, and makes the jokes even more solid. Hugely enjoyable, I'd say, for anyone reading this, and for a much wider audience too. Podcasts are now a vailable for downloading.